The Luciani family has been farming their five-hectare estate for six generations. Their northwest-facing vineyards are perched on the mid-slope of Montalcino at 350 metres’ altitude. Their Sangiovese vines are gown on some of the region’s most distinctive terroir, with calcareous marine fossils and clay, which gives the wines prowess and vivid minerality, further benefited by the spot’s cooler exposure. Tradition is paramount for the Luciani family, who together with winemaker Massimo Bracalente create styles of Brunello which are elegant and express a true sense of place. 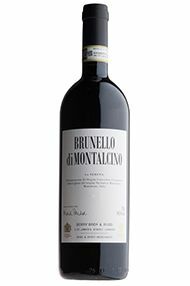 Deep red cherry in colour and bright with redcurrant, bramble and herbal aromas, this wine perfectly reflects the temperate 2013 vintage in Montalcino. Possessing refreshing acidity, mineral depth and finely integrated tannins, from its time spent in oak botti, the palate is sumptious, elegant and reffined. 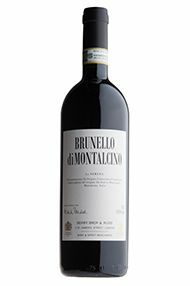 Made for us by the Luciani family, whose vineyards are located on Montalcino's eastern slopes, this is an example of classical Brunello at it's best. Drink now to 2030.